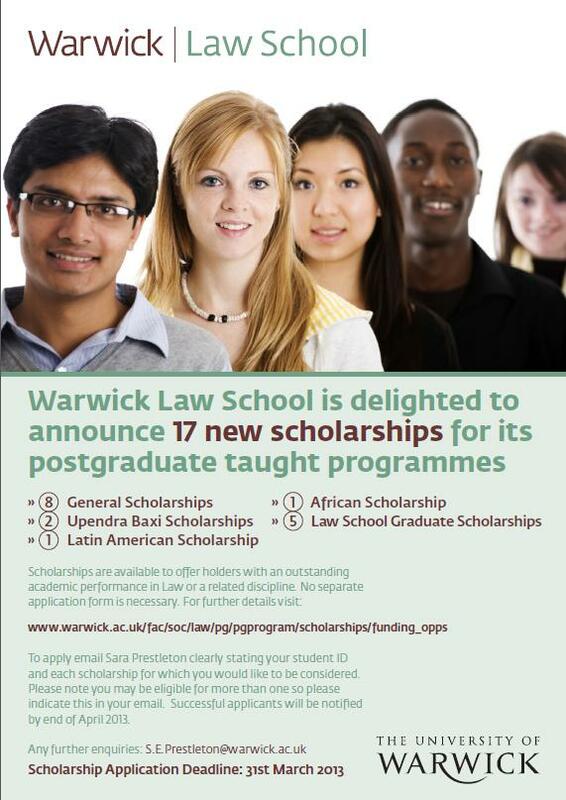 The University of Warwick Law School is offering 17 Postgraduate Taught Scholarships. Please visit the Warwick University website for more information on the types of scholarships available. If you are interested in applying for one (or more) of the scholarships, and for any further enquiries, please email Sara Prestleton, Postgraduate Admissions Officer: S.E.Prestleton@warwick.ac.uk. Please note that the scholarship application deadline is the 31st March 2013. Previous Post: We want to hear from you!